As part of my visit to my home county, indeed the veritable “raison d’etre” of my travels really, I was to join the celebrations of my sister’s 60th birthday. Around a year back she moved from Tiverton in Devon down to Truro, the county capital and administrative center of Cornwall. Despite having lived in Cornwall for all of my formative years and being proud of my heritage I have to admit that I can’t recall that I had ever visited Truro in my life. I probably have actually, as part of one of those interminable school trips of my youth. Outings that were celebrated more because it meant that you weren’t in class than for the cultural splendor of whatever it was that we were dragged off to see. I don’t recall such an outing but there was probably some occasion that demanded a visit to the place. To be honest my only real recollections of school trips centre around the “individually wrapped fruit pies” which all the kids had in their packed lunches. And of course the inevitable regurgitation of those self-same pies some time later, when one of those afflicted by chronic motion sickness would decorate the coach or carriage floor with vomit. Such that all memories of school outings bring back to mind a disgusting aroma of bile, Dettol and little else. The clickety-clack of rail tracks and the acrid olfactory affront of partially digested fruit pies are indelibly linked in my head to this day. All of that notwithstanding I was on my way to Truro, and as any recollections of previous visits were entirely lacking it was something of an adventure. 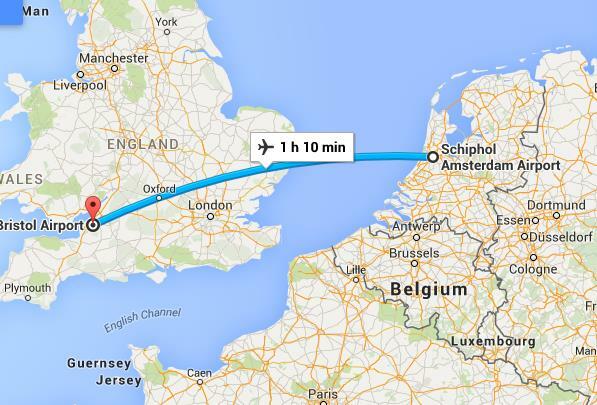 I find myself constantly amazed at how close together things are in the South of England. Perhaps because most of my time living there was when I was both small and limited, in terms of travel, by the range of my puny legs and the mechanical inadequacies of my bicycle. Thus, places that seemed far from home in my youth, now with the modern conveniences of motorized transport, good roads and such are all really rather on top of one another. Indeed Truro, a very distant, near mythical location in my youth was now little more than an hour’s travel. That however belies the actual isolation of these places. Towns or hamlets but a mile or two apart still enjoy their own unique ambiance and it is not at all unusual to find elderly residents of such places who have rarely, if ever, visited the town a stone’s throw away over the next hill. It is perhaps one of the more likeable traits of England, that no matter that is sinking under a massive population for such a small isle it can still offer up the illusion of space and isolation. My racy little diesel powered Citroen was just the business for whizzing about country lanes. So I ventured out in my snazzy bright yellow hire car along the A39 heading for Camelford, Wadebridge, Winnard’s Perch and Indian Queens on my way to the country capital. Of course there is no need to mention the route but for the fact that I love the place names in England, they conjure up all manner of images in my mind and seem so unlikely. How on earth does a place in mid-Cornwall end up with a name like Indian Queens? Well apparently it comes from the name of a coach house or inn which displayed a picture of an “Indian Queen” on its frontage. The image supposedly of a Portuguese princess who landed in Falmouth and spent a night in this particular establishment, her darkened complexion giving the idea that she was Indian. There are however other versions of the story and one romantic, if rather unlikely idea is that the Queen in question was Pocahontas, the daughter of an American Indian chief and now better known as a Disney character. The lack of credible evidence of this hasn’t stopped the town having a street named after the princess and in a spiral of increasingly bizarre nomenclature you can, if you look, find “Pocahontas Crescent” in Indian Queens, smack bang in the middle of the Cornish countryside amidst, Trelawneys, Trevithics, St Columbs and such. It is odd, but then at the same time it really is rather quaint. Of no import to what my sister refers to as the “intellectually incurious” but to me really rather fascinating. The journey took me through the Allen Valley, a roadway alongside the Camel River, a place which I do recall from my youth. It is perhaps one of the loveliest pieces of road in the whole of the South West, (Although the Exe Valley is right up there too I have to say). A narrow two lane highway entirely covered in the summer months, by a tunnel of bright green. The trees on either side of the road apexing cathedral like above the roadway.The height of the tunnel, as best I can tell, only determined by the trimming effects of the top of tourist coaches. 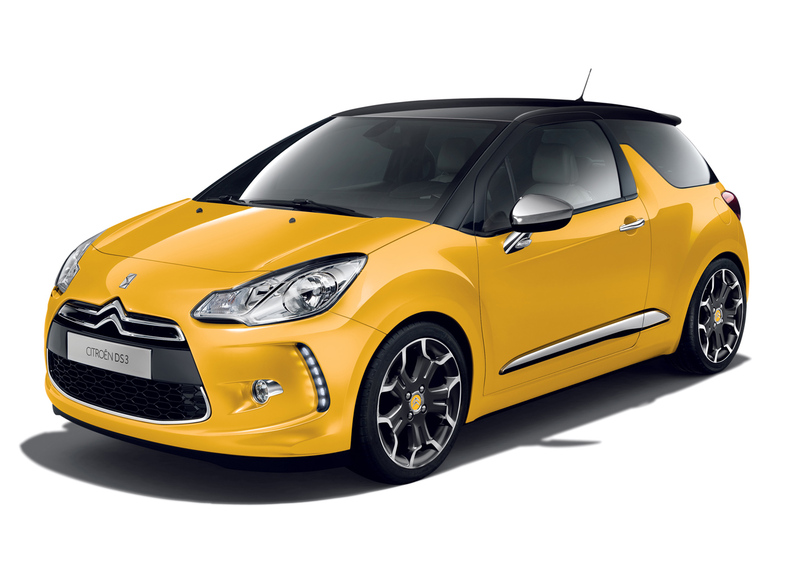 Driving along its meandering tarmac is like being encased in a massive wave. In fact if you don’t surf I could recommend a drive along this highway if only because it might give you something of the sensation of being “barreled” as the surfers call it, when riding in the tubular flow of an ocean swell, turning over rapidly on contact with a shallow reef. In short it is quite specular. I considered turning the car about and racing back the way I had come just to experience it all once more, but time was pressing and I continued on my route. I could get “barreled” again on my way home in a few days anyway. It is a further oddity that the Allen River (from which the name Allen Valley is taken) has a cousin of the same name flowing eventually through Truro, my ultimate destination. Apparently this the result of an error on an Ordinance Survey Map resulting in two rivers of the same name in the same county. Perhaps that is why so many places have, to me at least, odd names, there is then little room for confusion and it’s not too likely that one will end up with two “Box’s Shops” or “Winnards Perches” on the map. Perhaps unfortunately, one rarely goes through any of these towns that are signposted along the way. The invention of the “mini-roundabout” and the “bypass” have led to a plethora of entirely confusing interchanges which whilst speeding things up demand considerable alertness on the part of the driver and result in one skirting most of the intervening hamlets. On the periphery of Truro I was to come upon a multiple “mini-roundabout” so confusing that I am sure the main reason that it functions at all is that everyone slows down so much and is so careful that in fact there are few accidents. Inquiries during my stay revealed that not a single local with whom I spoke had the foggiest idea how this convoluted intersection was supposed to function. Fortunately drivers in the South West tend to be tediously considerate such that traffic jams are more based on the “you go..no you go” sort of interaction rather than the violent road rage “I’m going to F@#$ you up” type incidents of more northern metropolitan centres. I finally, having negotiated the imaginary breaking waves of the Allen Valley, the confusion of the mini-roundabouts and the ubiquitous road works that interrupt all motor vehicle travel, arrived in Truro. Having done the obligatory greetings and dropped off my bags I sallied forth to explore the surrounds of my temporary new home. 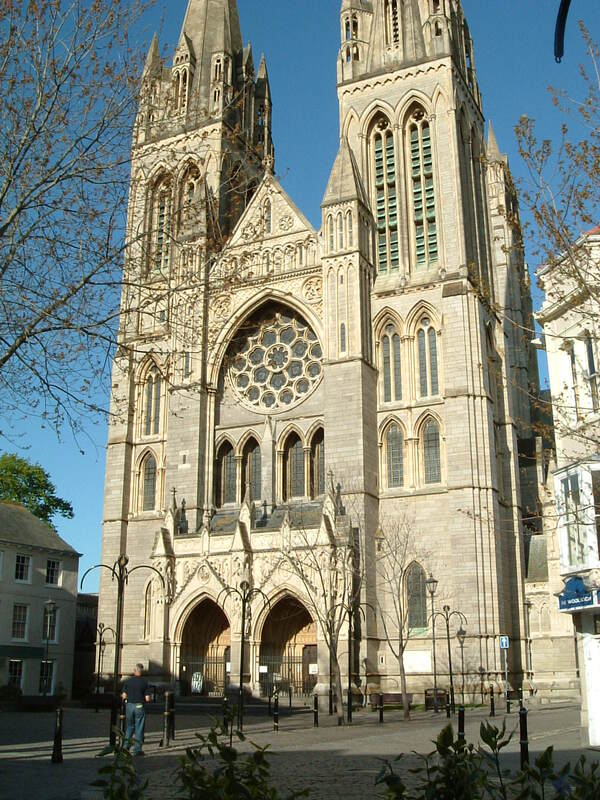 The Truro skyline is entirely dominated by the Cathedral, a quite spectacular edifice to the illusion of heavenly power. Designed by the architect John Loughborough Pearson the highest spire of the structure rises some 76 metres from the ground. The Cathedral took 30 years to build, between 1890 and 1910, situated on top of St Mary’s Church which had been consecrated some 600 years previously. I am not particularly given over to interest in religious architecture of religious anything else for that matter but the cathedral is, even to a confirmed atheist, really rather impressive. I confess that I didn’t venture closer or indeed inside as I was on a mission to wander, and hopefully find a cosy hostelry in which to enjoy a decent beer. The city of Truro holds the honour of being the most southerly city in Great Britain, and to me one of the most wonderful things about the place is the age and history that is all about one as one walks. Where else would one find the pavements manufactured out of massive granite slabs? Or for that matter a river running underneath the city centre. It quite fascinated me that the river flows on either side of the market area but not through it. This because it has been moved underground at that point to make way for Marks and Spencer’s, well that last bit is a fib, but it has been channeled underground so as not to dissect the pedestrian precinct of the market area. In days gone by the centre of Truro was apparently a thriving port and one can still get a ferry down the estuary to Falmouth, itself a significant maritime trading post in the past. On this day it wasn’t likely that I would be able to enjoy any boat based transport, the tide was out and in these parts when the tide is out, it is out with a capital “O”! 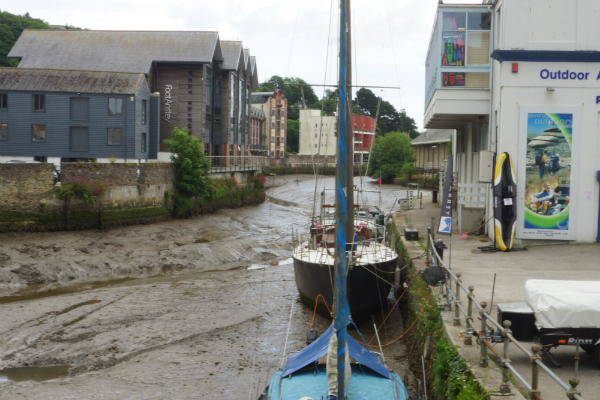 The estuary runs right up to the town center, or at least it does when the tide is in. A walk along the banks past some rather smart offices and on to a more slovenly area of broken concrete, scrap yards and such revealed miles of mud flats, dotted with boats lying high and dry. I was quite fascinated to see that many sported, one imagines specifically designed, little legs on them such that they remain upright when the tide recedes. There were also a good number of rotting hulls in various degrees of decay gradually sinking into the sticky looking river bottom and serving little purpose other than as perches for the ever present seagulls. Melancholy or pretty? 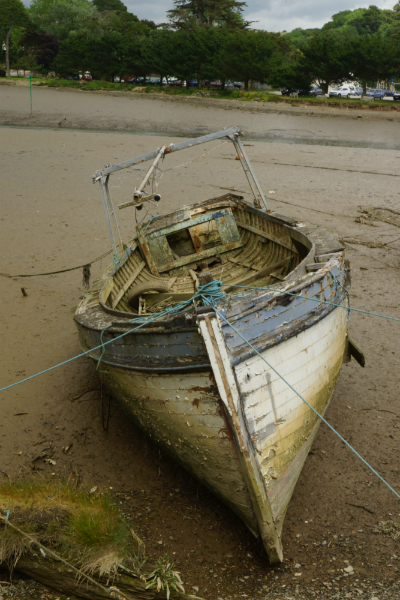 Neglected boats litter the mud flats at low tide. 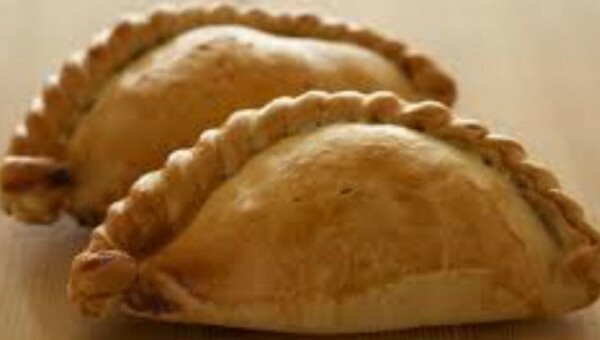 Anyway I hadn’t chosen that particular route and headed back into the town centre, purchasing one of many very tasty Cornish pasties that I enjoyed during my trip, and ate it along the way. I was in search of a pub and eating some lunch, even on the move, seemed like a sensible option. 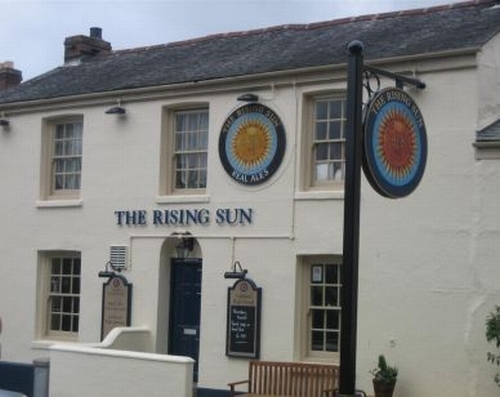 The Rising Sun, a lovely hostelry with a wide variety of ales at hand. The wonderful charm of English village names apparently extends to the streets in these parts. On the way to The Rising Sun, an alehouse that I hoped might provide a decent beer (as it happens I wasn’t to be disappointed). 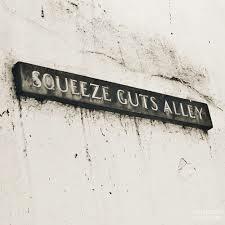 I ventured down a doglegged and narrow passageway between ancient buildings with the colourfully authentic title of “Squeeze Guts Alley”.. Certainly if two patrons of The Rising Sun, having dedicated a lifetime to sampling the wide variety of local ales and developing the bodily dimensions that generally accompany such an obsession, were to try to pass each other within the confines of this particular backstreet they would undoubtedly bring visual confirmation of its title. But what a wonderfully creative name, and to my mind a far more memorable and descriptive legend for a roadway than, for example, Pocahontas Crescent. A short cut but certainly not for the terminally obese. So having enjoyed an authentic local ale or two and a decent Cornish pasty it was time to return to my accommodations and assist in party preparations. I walked back up the granite clad, Georgian splendor of Lemon Street, past the statue of Richard Lander, a Cornish explorer who sailed and trekked the Niger River and was apparently the first to recognize that its mouth was in fact a delta. This intrepid soul died as a result of a musket ball lodged in his leg during a fight with native tribesmen in Africa. Compared to his travels perhaps it is unfair to refer to a short drive to and a leisurely wander around Truro as an “adventure”. Mind you Richard Lemon Lander may well have had to fight off hostile tribes and bouts of fever but I bet he never negotiated a mini-roundabout, and I figure that makes us about even. The idea was to encourage mother to venture out a bit, she is a pretty sharp 89 year old but gave up her car a year or two back. In much of England and in particular the rural South West, loss of one’s own vehicle is about far more than giving up four wheels and an engine, it represents in reality a significant loss of independence. Without a vehicle mother’s travels have to be structured around the vagaries of an irregular bus service although on occasion she can join organized “coach trips” . These ventures of questionable value are generally organized by “Friends of the Aged” or some such organization and tend as best I can tell to focus on shopping centres and cream teas. If one is particularly unfortunate there may well be a collection of garden gnomes and a children’s petting zoo thrown in for good measure. I have never been entirely sure why such things should be imagined to be fun for the over eighties but with these sorts of trips one is shackled to the world view of the organizer. So it’s garden gnomes and budget shopping or stay at home and watch another re-run of Coronation Street. Anyway, the point was to get out and about, mother in tow, and in this particular instance provide her with some choice as to the direction and indeed final destination. So it was that I decided a reasonable ruse was to suggest that I would like to revisit some of the places I used to fish as a child. Near at hand, just down the road in fact was “Black Bridge” A now disused railway bridge of massive metal girders and rivets, painted as you may well imagine pitch black and spanning the modest flows of the River Neat. The train tracks were dug up years ago and trains don’t venture much further south than Exeter these days, mind you it is more than likely that mother crossed that very same bridge at the start of her honeymoon some sixty odd years back. Difficult to believe that people used to board a train to go on honeymoon. Actually difficult to believe that anyone residing in the UK would go to London on honeymoon either for that matter. It was at this precise location, underneath the railway bridge that I once hooked and landed the biggest eel of my fishing career, not perhaps much of a milestone looking back but of considerable import to a youngster whose fishing abilities were only marginally better than his rudimentary tackle. As I recall that eel was taken with a ball of cheddar cheese as bait, in current economic times I doubt many would use something quite so pricey. If you are of sufficient financial means to use cheese to catch eels and want to try it, I remember that the key is to dip the molded cheese, hook contained within, back into the water for a minute or two before casting it out. Without this minor but critical adaptation you will likely see the hook fly one way whilst your lovingly fashioned and overly expensive fromage heads off at a tangent to your desired target. Black Bridge however is close enough for mater to reach on her mobility scooter and thus was not due to be part of our Grand Tour. Mother doing her impression of Sting (Ace Face) in Quadrophenia, well a bit slower. 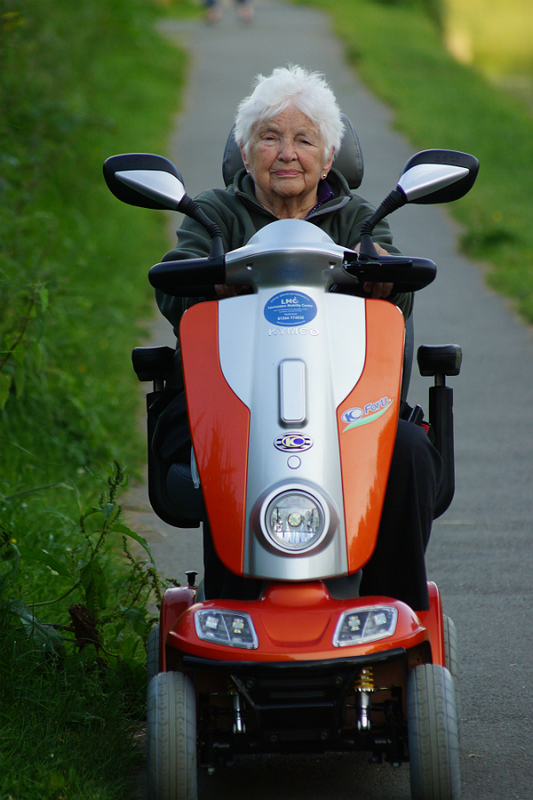 As an aside, mobility scooters appear to be all the rage in the UK, they obviously provide useful independence and transport for the aged and infirm and as best I can tell an equally significant number of the terminally obese or abjectly lazy. Indeed disability scooters now come in all shapes and sizes and a variety of racy colour schemes including metal flake finish, although I can’t see that that makes them go any faster. In a country where “taking offense” appears to be something of a national pastime I was surprised to see the speed controls on mother’s own version clearly labelled with a picture of a tortoise and a hare, to indicated slow or fast. Perhaps the manufactures should consider that people like my mother are elderly and perhaps moderately infirm but not brain dead. The woman managed to negotiate the twists and turns of the English countryside in a motor vehicle for decades without serious incident, she is still more than capable of feeding and clothing herself, she still manages keep fit and sewing classes and has been known to attend the occasional “computer course”. To imagine that she is so retarded that she needs kiddy like hieroglyphics to tell her which way to turn the speed dial is to be quite frank, a serious affront, so yes, I am offended. More to the point, anyone so thick as to require juvenile graphics in place of a speedo really shouldn’t be astride any sort of motorized transport in a public place. Still I digress, aiming for locations out of reach of walking sticks and mobility scooters we set off on something of a treasure hunt, hoping to locate a large viaduct under which I regularly fished as a youngster. Of course we would in those days follow the river upstream, casting spinners in the early years and later flies at the resident brown trout. Now the plan was to find the viaduct by driving the country lanes, with only a vague forty year old recollection of its actual location. You wouldn’t think that you would be able to miss a viaduct that is several stories high but we struggled to find it. Those lush high hedges not helping matters and generally blocking the view much of the time. We wended our way up and down country lanes, meandering in what one might describe oxymoronically as a state of aimless focus, without success. Eventually we took a pass through Bridgerule, another fishing haunt of my past where in those days the fishing was controlled by the Bude Angling Association, now there are “Private Fishing” notices on the gates so perhaps it has, like much else, been bought up by recent immigrants for their exclusive entertainment. Bridgerule lies astride the mighty River Tamar. Mighty it may well be lower down its course, but at this point one could probably jump over it in parts. 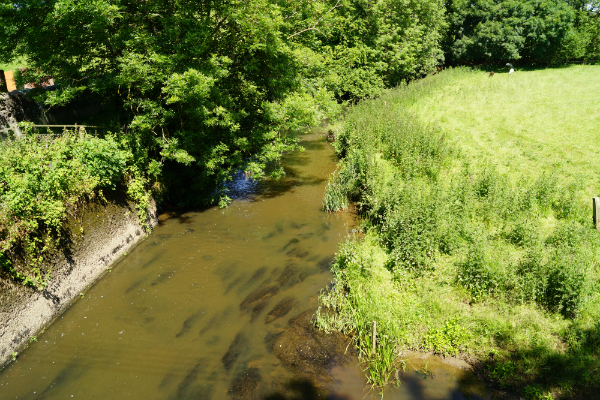 Don’t let the size of the stream fool you, not only does it boast runs of sea trout and salmon it has considerable significance as a county border. This unassuming and rather murky piece of river has considerable significance, both to the people of Corwall and my fishing history.. it is the Tamar River at Bridgerule. It was just here that I remember catching a lovely brown trout on a Black Pennel, swung downstream through a beautifully fishy looking glide that curves around a corner just below the old stone bridge. I was only about thirteen years old, accessed the waters via lengthy rides on my bright red bicycle and as a bonefide novice I had yet to adopt the snobbery of dry fly purism. Not only that, and although I don’t recall exactly, it is more than likely that I ate that trout, pan fried with brown bread and butter. A lot has changed in forty odd years. 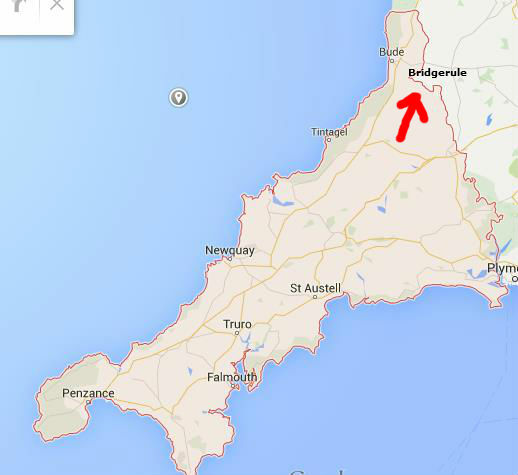 In yet another aside Bridgerule is something of an oddity in that the village lies on both sides of the Tamar such that essentially half the residents should be Cornish and the others Devonian, occupants of what was once known as West Bridgerule and East Bridgerule. To appreciate the foolishness of this nomenclature one needs to understand that you could spit and hit East Bridgerule from the Western side of the hamlet, given good lungs and a following wind. Up until 1844 those from the West were Cornish, but then parish boundaries were redrawn and the entire town became part of Devon. It may not appear that significant but in these parts the Tamar River represents pretty much an equivalent notional boundary as that between Israel and Lebanon. 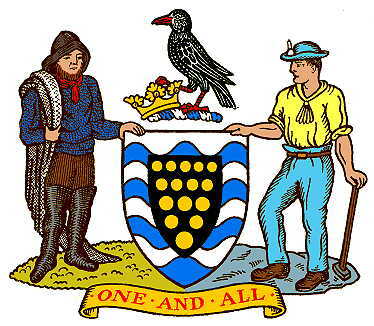 Being on one side or the other takes on great importance and I am sure that back in the day, the “theft” of a chunk of Cornish soil didn’t go down well with the locals, in this instance, at least to us Cornishmen, it was the “East Bank” which was the problem. Come to think of it, I caught that trout from the Devon side of the river, so I don’t feel too bad about eating it. The Cornish border, generally following the River Tamar but here pushed to the west to sneak Bridgerule into Devon. 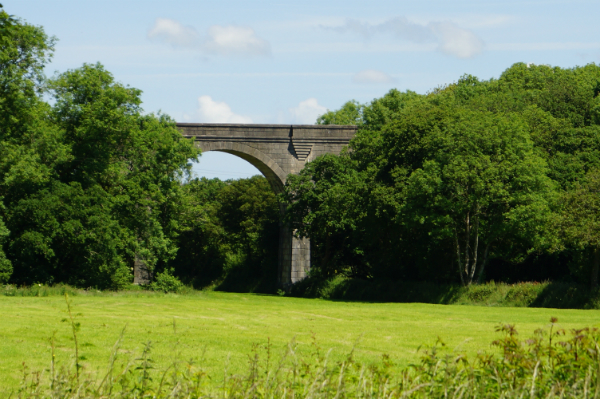 Having taken a few snaps of my erstwhile fishing haunt we set forth once again in pursuit of the Viaduct heading for Titson, an unlikely sounding place in an area filled with unlikely sounding places. 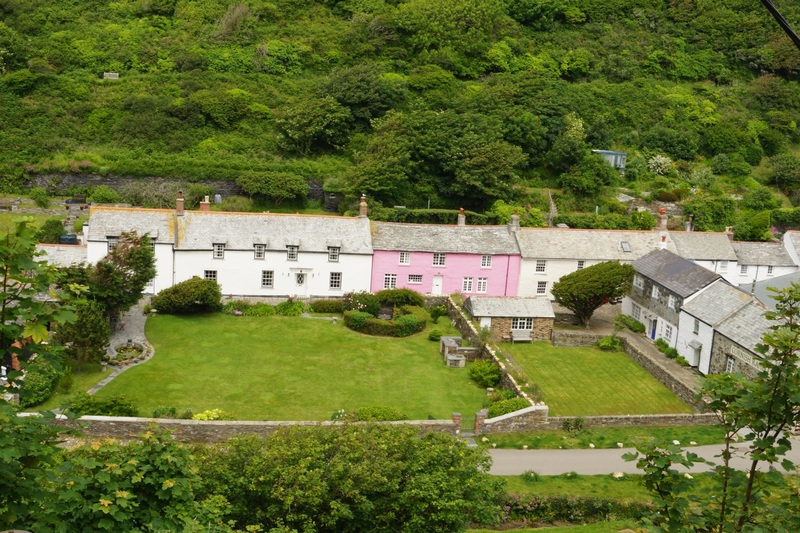 About us lay: Sharlands, Tackbear, Hobbacott, Hele Bridge and Box’s Shop just to name a few. Eventually we passed a Post Office Van and enquired as to the location of “our” viaduct. The moment that the driver greeted us in a distinctly northern accent I knew he would be of no assistance. They no doubt deliver the mail using GPS technology or something these days, but certainly have no level of local knowledge. One can see that in a part of the country where many locations are defined by farm names or even farmer’s names for that matter, outsiders are not a useful resource when trying to determine one’s location. My father who worked for years in the area for British Telecom used to remember everyone by their phone numbers.. He was want to interject any discussion with comments such as “Oh you know Mrs Johns… Bude 2476” as though that had significant meaning to anyone but himself. I suppose that is the nature of local knowledge and it is perhaps sad in some ways that such is gradually being eroded. In fact we had enquired earlier of a man walking his dog, but again he was a foreigner, moved south in the recent past. To put things into perspective, you are a foreigner if you haven’t lived there for at least a century and it is all the better if you can lay claim to generations of occupancy. These days Cornwall is inundated with “northerners” moving south for a more rural lifestyle only to complain, after arrival, about the narrow lanes, noisy tractors, the quacking ducks, the bleating sheep, the mooing cows and the infuriating clip clop of riding stable ponies, not to mention the difficulty of getting a decent cappuccino. One has to question if any of them thought to do the most rudimentary Google search of the term “rural” before moving in and pushing house prices beyond the reach of the locals. You may well imagine that this doesn’t always make these interlopers particularly popular with the longer standing inhabitants. It was however that at this juncture we had a brainwave; my brother is a local and more to the point used to be a postman. Sure enough, one call to him and the exact location of our missing viaduct was confirmed and we found it in short order. It is an impressive and somewhat incongruous structure, set as it is in a deep and wooded valley. The arches span the tiny upper reaches of the River Neat, the stream on which I could claim to have learned to fly fish, or if not learned at least started my love affair with it. Forty plus years ago I would venture up here with my mates, them still throwing Aglia Long, Mepps or Abu Droppen lures whilst I made woefully inadequate casts with Tupp’s Indispensables, Kite’s Imperials and Sherry Spinners. My rod was some cheap fiberglass wand purchased from the local pet shop, which doubled as a purveyor of sporting goods. Even now it is something of a surprise that the fly fishing lark proved as effective as it did, even in my inefficient hands and with rudimentary tackle success was had and from those days onwards fly fishing has come to dominate, not only my fishing but I suppose my life. Our goal: The railway viaduct at Sharlands, scene to many happy days of learning to fish. So photographic snaps of the location safely captured on electronic media the day’s scenic tour of fishing venues was pretty much at an end With this little adventure done and dusted we set out through more narrow and leafy byways headed for “The Weir”, a restaurant where we hoped that we might actually find a decent cappuccino. 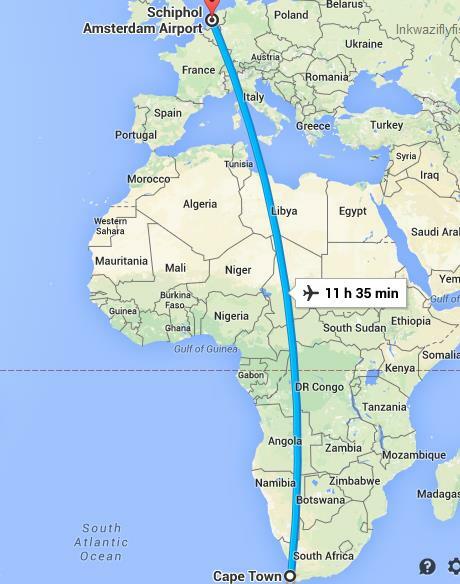 I never really did get my head around long distance air travel. Being in a car you can see places, there is time to adjust; the nuances of changing scenery and the architecture give the journey meaning. The anticipation as one nears one’s destination provides some sort of perspective, at least to my mind. Being strapped in a supersonic cigar tube, even with the advantages of on demand entertainment on the headrest in front of you, just doesn’t allow my brain to assimilate anything. It is like going to the cinema at the V&A Waterfront only to emerge hours later after a triple feature filmfest and find that you are now in New York or Anchorage or something. It is all a little disconcerting. In this particular case the cinema opened out into the (currently being refurbished) hubbub of Schiphol Airport in Amsterdam and I followed makeshift signage to find my connecting flight, my mind still expecting to see fishing boats or seals in the harbour. As I said, I find it all just a little unnerving. Twelve hours of pain, three movies, stiff legs, crap food and almost home. Anyway connections were made, a swift draught stout in the faux Irish pub (one of the few remaining smoking areas in the airport, God forgive me my addictions) and I was seated in yet another, albeit smaller and less entertainment orientated, cigar tube aimed at the white cliffs of Dover, approximately at least. As the plane left Schiphol and climbed up over the channel for the final leg of my journey back to the land of my birth I could already sense the colours and smells of the English countryside. Living in Africa, albeit the southernmost tip, it is rare to see such greenery as presented itself out of the starboard windows.. 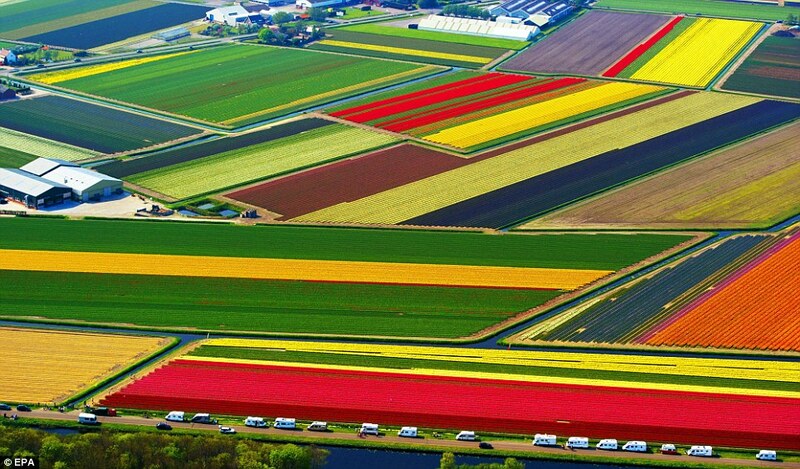 Even from thousands of feet up the verdant growth below stood out, a patchwork quilt exuberantly celebrating the agricultural benefits of near endless rain. One more “cigar tube hop”.. The rich pattern of European “OCD Farming”..
Over England, one imagines as a result of endless disputes and ancient rights the fields appear to be completely random. A hotchpotch of shapes, the world’s first thousand piece jigsaw puzzle, not two fields the same shape or size and all bursting with lush summer growth. I couldn’t help but think that were it indeed a jigsaw it would be tricky to sort out the pieces. I also knew all too well that those self-same and higgledy- piggledy fields meant that there would be little space for straight roads and that my journey onwards was going to contain more than its fair share of winding country lanes. The Romans never managed to conquer the far south and as a result roads without endless hairpins and chicanes remain a foreign concept even today. Apparently straight roads are for foreigners and sissies, real men drive around corners down here in the South. The English Countryside, unruly, asymmetric, verdant and quaint as hell. I landed at Bristol International Airport, the location makes for the simplest entry into the South West, avoiding the hustle and bustle of London and passage facilitated by modern facial recognition software meant that I was in the car park and ready to tackle the lanes in my newly acquired hire car in a matter of minutes. I wended my way along narrow roads, high hedges blocking most of the view as I repeatedly braked for sharp corners or flashing warning signs to slow down through one or other of the endless small villages along the way. I well recall from my youth that some wag has seen fit to modify one of the numerous “Please drive slowly through village” signs with the spray painted corollary “or else you’ll miss it”. That about sums it up; a couple of stone houses, a pub, perhaps in days gone by, a Post Office, and you had a veritable metropolis ,throw in a church for good measure and your hamlet would become a “regional centre”. In these parts pubs and churches seem to dominate, such that one might imagine rural life divided along lines of piety or alcoholism. All that said there was a sense of comforting familiarity, I grew up in rural Cornwall, indeed far enough South that inhabitants of Bristol are still considered to be untrustworthy “Northerners” and even those a few miles up the road but on the wrong side of the River Tamar would be unlikely to win the hand of a Cornish Maiden without a fight. I was bound for the land of Trelawny, the home of the “Tiddy Oggy”, of “Stargazy Pie”a place that in years past spawned generations of wreckers and smugglers- I was headed home. 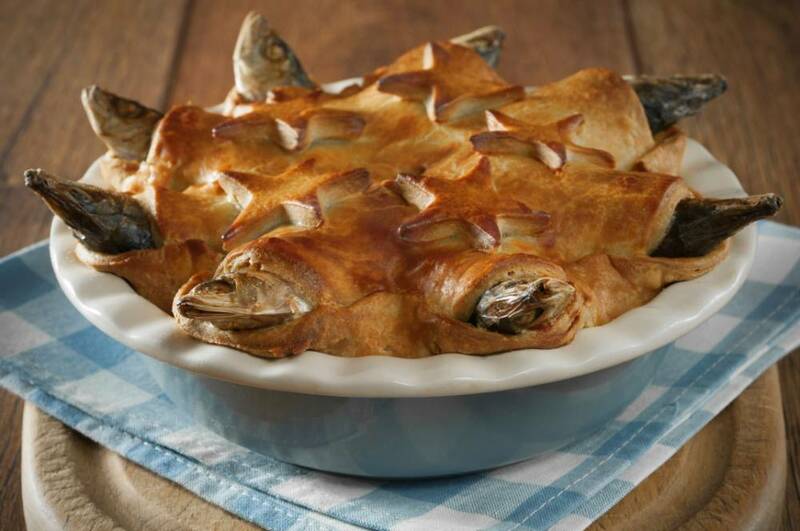 Stargazy Pie a traditional dish but I have to confess, Cornish Nationalism aside, I find it hard to consider consuming something that is looking back at me. There was a brief spell of modernity when I joined the M5, and sped along in auto cruise for an hour, it is a rapid but starkly impersonal way to travel, those quaint villages en-route little more than road signs to be whizzed past. All that history but a flash of white lettering in the rear-view mirror as one speeds on one’s way. Eventually I was back in the countryside, and now, having remastered having a clutch and gearstick (I have been driving an automatic truck for the past year)was merrily whacking the car down through the box as I sped along the country lanes once more. Negotiating the twists and turns of my youth , transported back to the days when I commuted to and from Exeter on a weekly basis. Perhaps a misspent youth at that, I seemed to recall the pubs more than the villages, Turn left after Golden Inn at High Hampton, (I seem to recall it was The Golden Fleece in the past, but can’t be sure) past the turn off for Shebbear and The Devils Stone Inn and then on skirting the Bickford Arms at Brandis Corner, almost in Cornwall now. Just Holsworthy to negotiate and then the sign of 15 gold bezants and the Chough to let me know that I had crossed the Tamar and was back in the land of my birth.